An important book. These brave voices deserve out attention. In the tradition of Behind the Beautiful Forevers, this is a masterful, humane work of literary journalism by New Yorker staff writer Alexis Okeowo-a vivid narrative of Africans who are courageously resisting their continent's wave of fundamentalism. 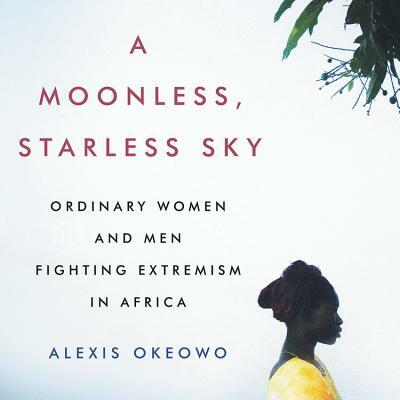 In A Moonless, Starless Sky, Okeowo weaves together four narratives that form a powerful tapestry of modern Africa: a young couple, kidnap victims of Joseph Kony's LRA; a Mauritanian waging a lonely campaign against modern-day slavery; a women's basketball team flourishing amid war-torn Somalia; and a vigilante who takes up arms against the extremist group Boko Haram. This debut book by one of America's most acclaimed young journalists illuminates the inner lives of ordinary people doing the extraordinary-lives that are too often hidden, underreported, or ignored by the rest of the world.